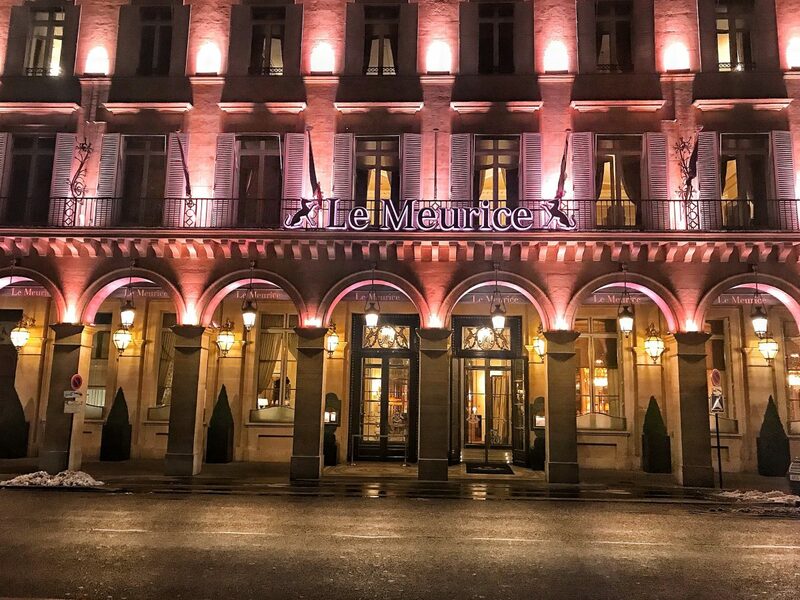 Le Meurice, part of the Dorchester Collection, is just a short walk from the Louvre museum in Paris. 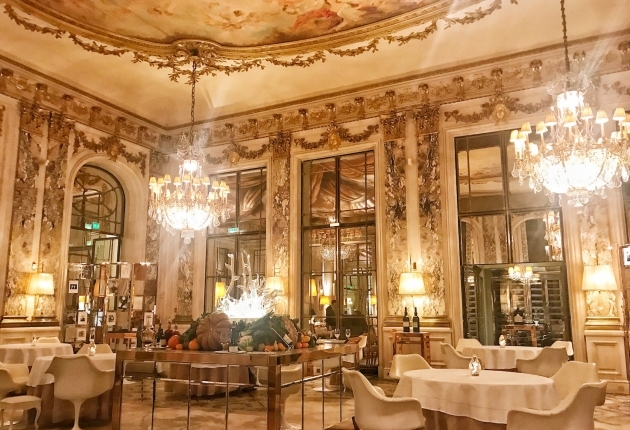 The hotel houses a two Michelin starred restaurant by Alain Ducasse in one of the most beautiful and opulent dining rooms I’ve ever encountered. It is simply stunning. It’s a jacket and ‘tie preferred’ kind of place yet it doesn’t feel stuffy; service is friendly and relaxed which puts you at ease. 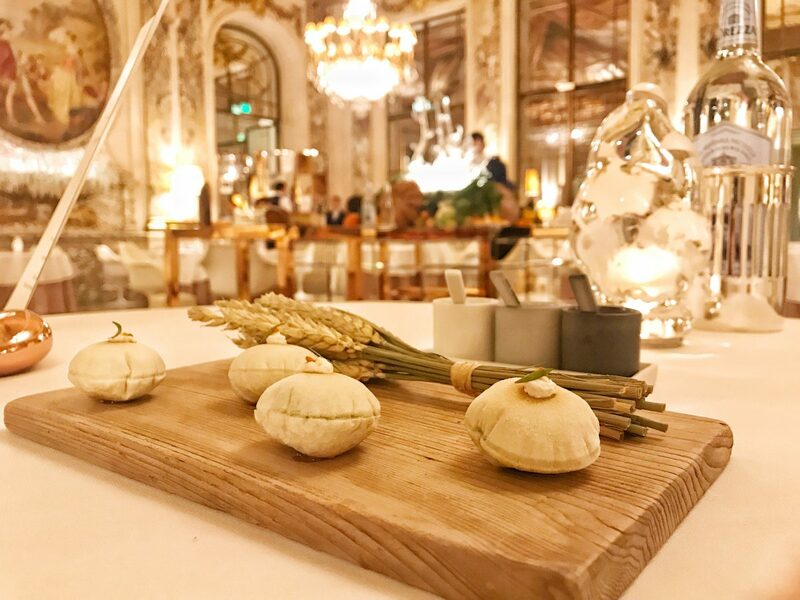 We snack on mini French baguettes, one-mouthful wheat puffs, salt baked celeriac and vegetables lightly steamed with Himalayan salt crystals while taking in the grandeur. The space is designed by Philippe Starck. 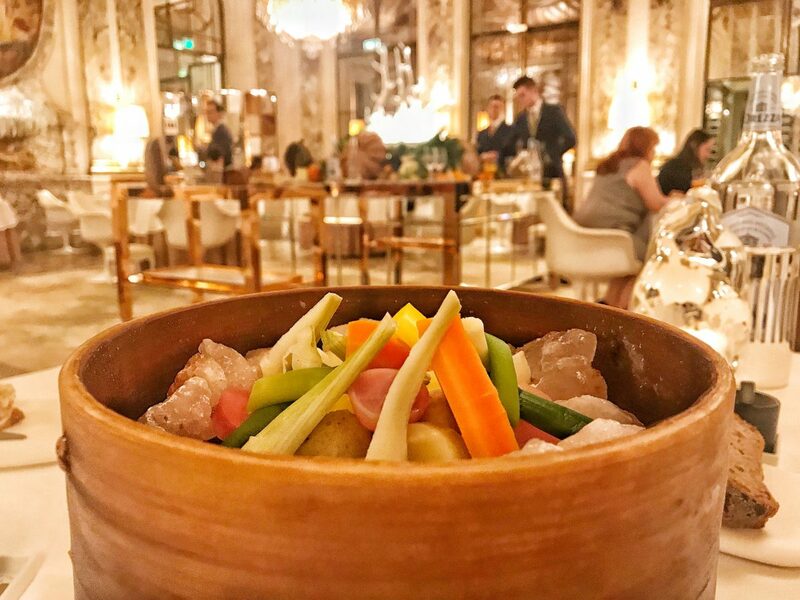 We opt for the Collection Menu (€380 per person) which gets you three dishes, cheese and dessert. 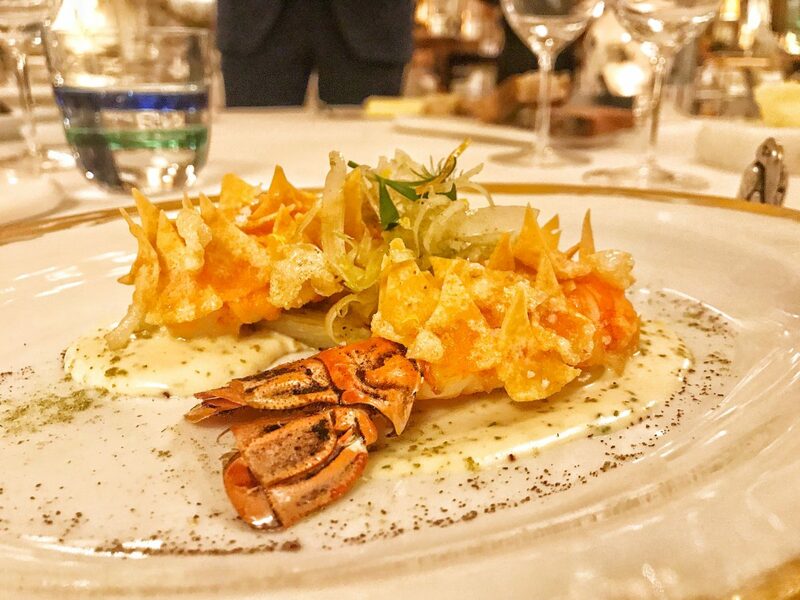 Belles langoustines come topped with little shards of Dorito-like crisps. A bubbly bisque is poured over it all at the table which is glorious. 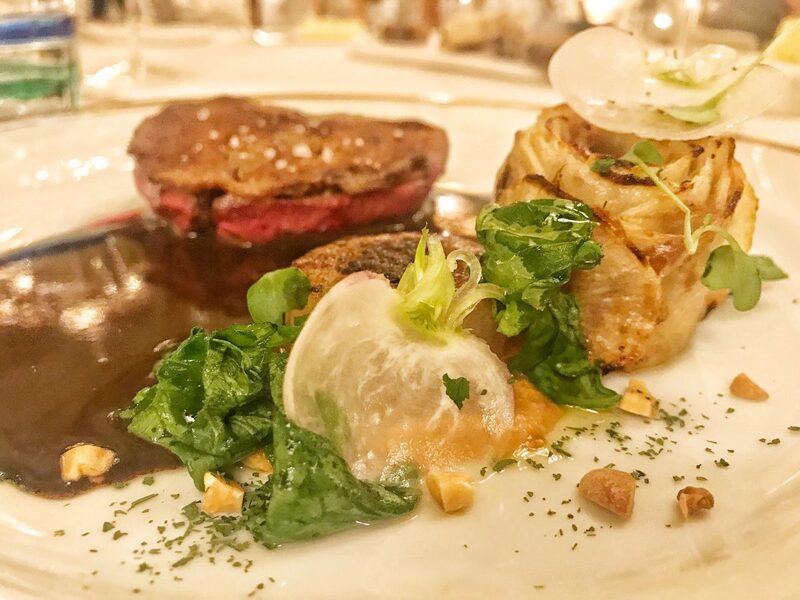 ‘Saint Jaques de la Baie de Seine, chou-fleur, truffe noire’ is equally as special. 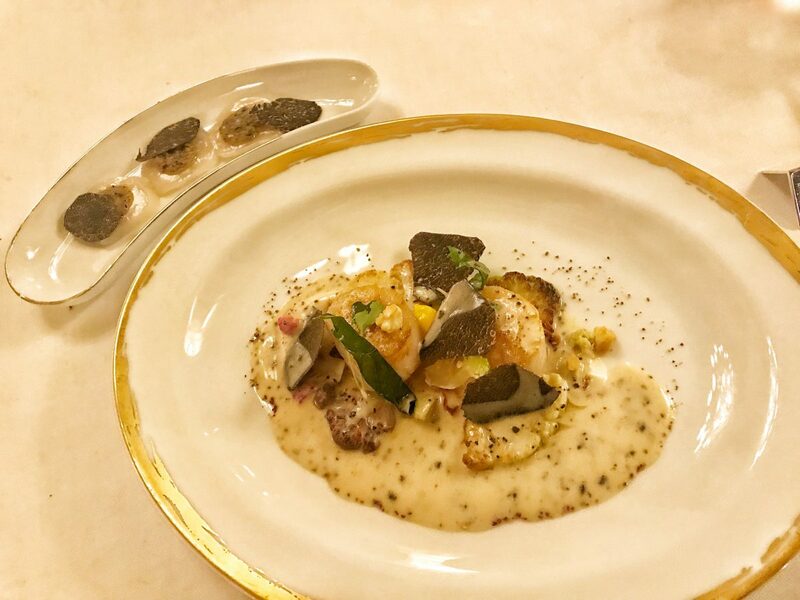 It’s a plate of scallops in a rich truffle sauce topped with shaved truffles. The smell is something else. There’s a side dish of raw scallop topped with more truffle. Truffle. Heaven. Quality ingredients and masterful sauces are at the forefront here. Chunks of Breton lobster, on the right side of bouncy, come with a deep flavoured jus which is almost meaty. 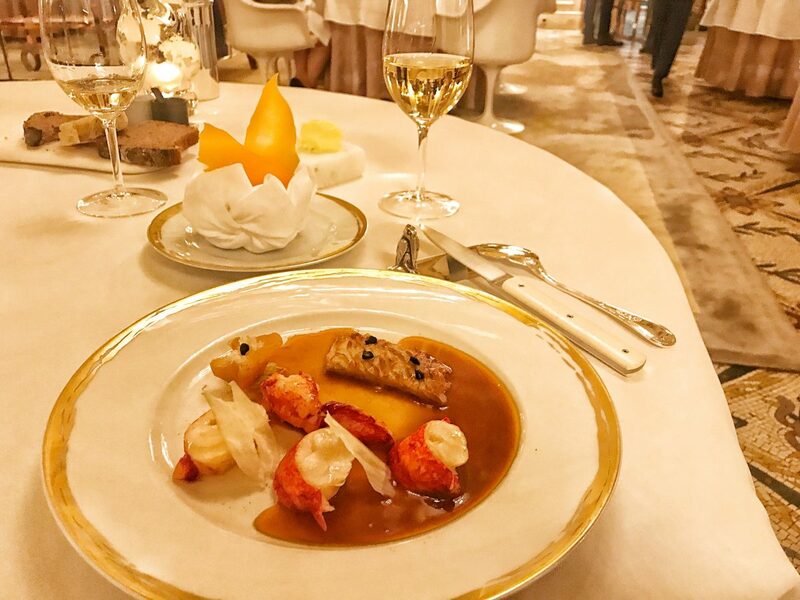 An accompanying crisp made from the lobster roe is a real taste of the sea. 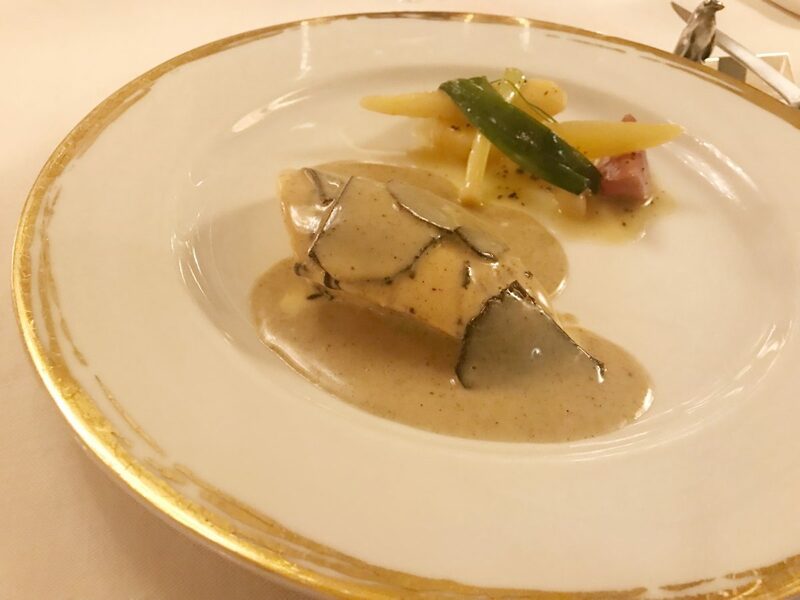 Tronçon de turbot is exquisitely cooked. 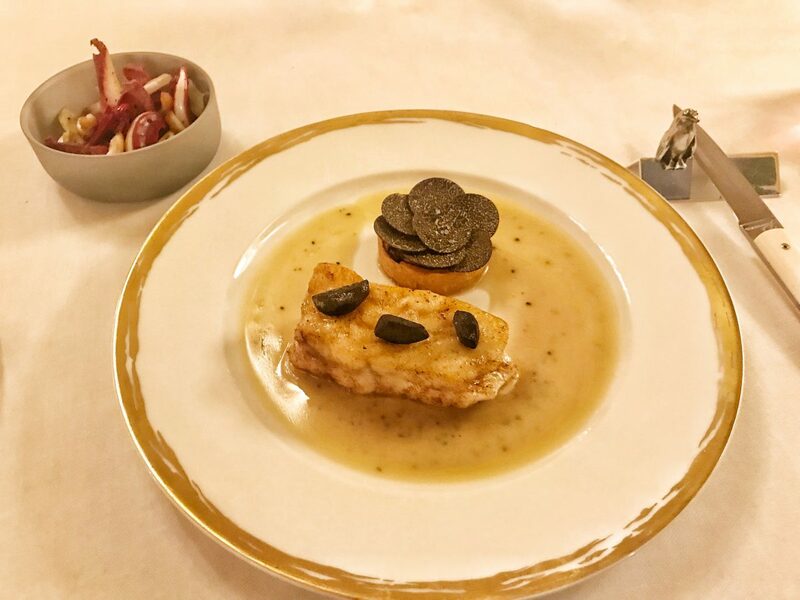 It comes with truffle fanned out like a flower and a sauce perfumed with yet more of the stuff. Pigeon, from Pornic, comes with a cheffy ‘salmis’ (when the bird is cooked, sliced and then reheated in the sauce). The result is thick, rich and rather wonderful. The accompanying dollop of peanut butter is an intriguing match for the pigeon. ‘Poulette de la ferne de Culoiseau’, that’s chicken, is simple perfection. Next up a chessboard the size of a front door is wheeled over. It’s all French, naturally, and my request for anything gooey and stinky is met without delight. 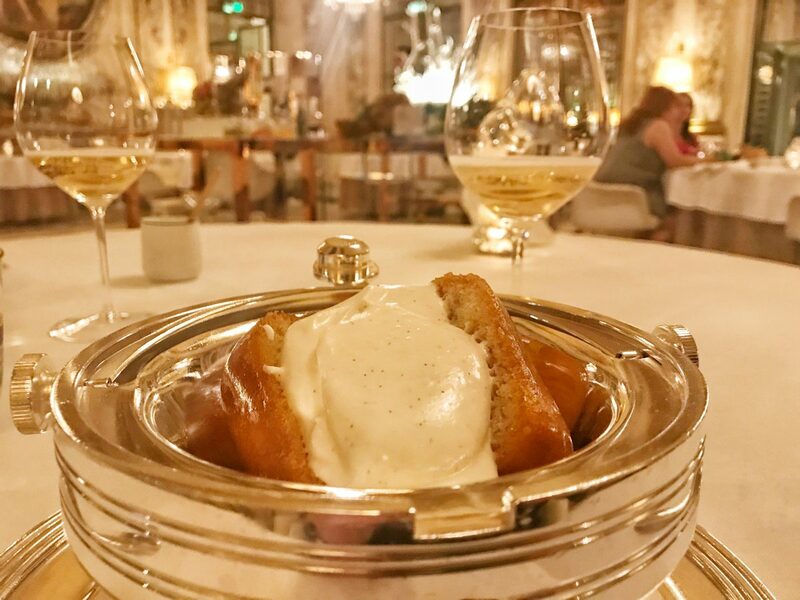 A signature Alain Ducasse dessert (one which is served at all of his restaurants) is the Baba au Rum. 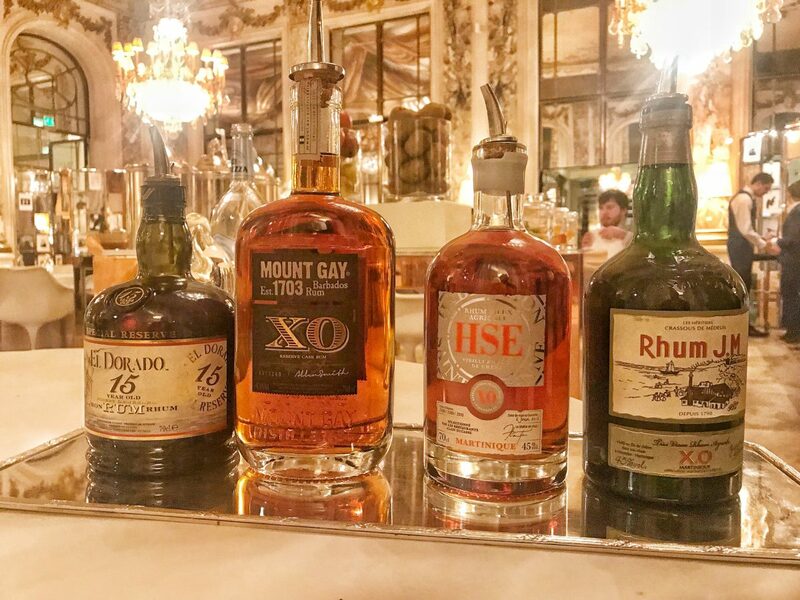 You’re given the choice of four rums, one of which is then poured over the lightest little baba in its own silver tray. The whole thing is crowned with a dollop of vanilla-rich cream. It’s a boozy delight. 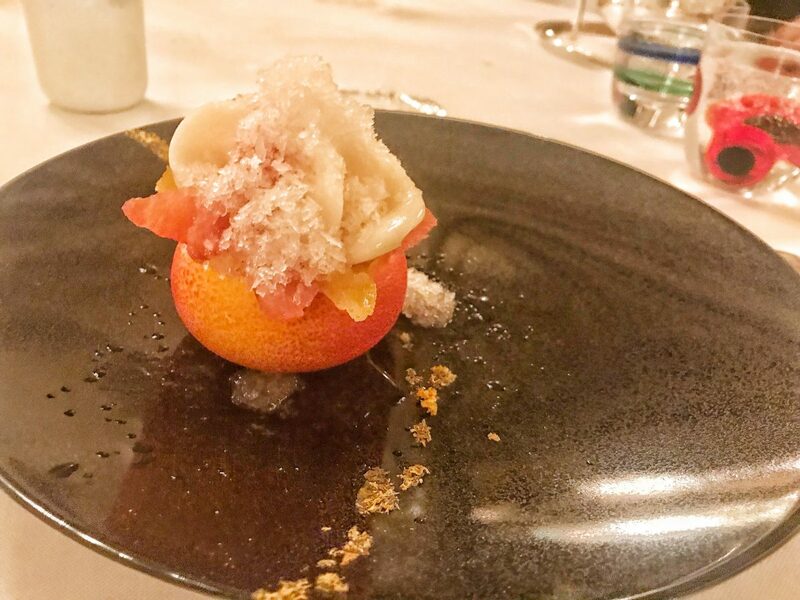 Elsewhere on the menu, a fruitier number is the ‘pomme Rubinette’ which is a delicate apple made of sugar filled with granita and sorbet. It acts as a palate cleanser which is most welcome after all that food. 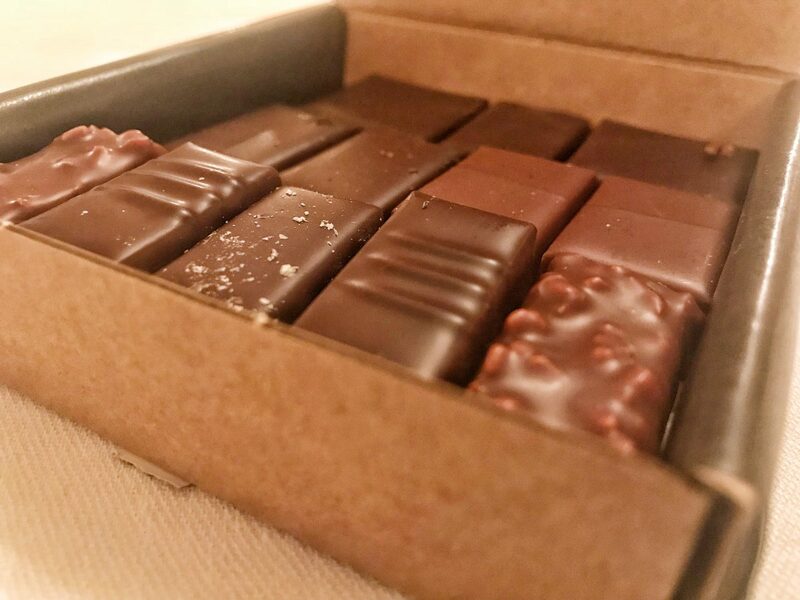 A final treat is a box of Alain Ducasse chocolates – finer you may struggle to find. He has a few shops dotted around Paris and we visit his chocolate factory the next day to buy more as they’re that good. Well worth a visit. 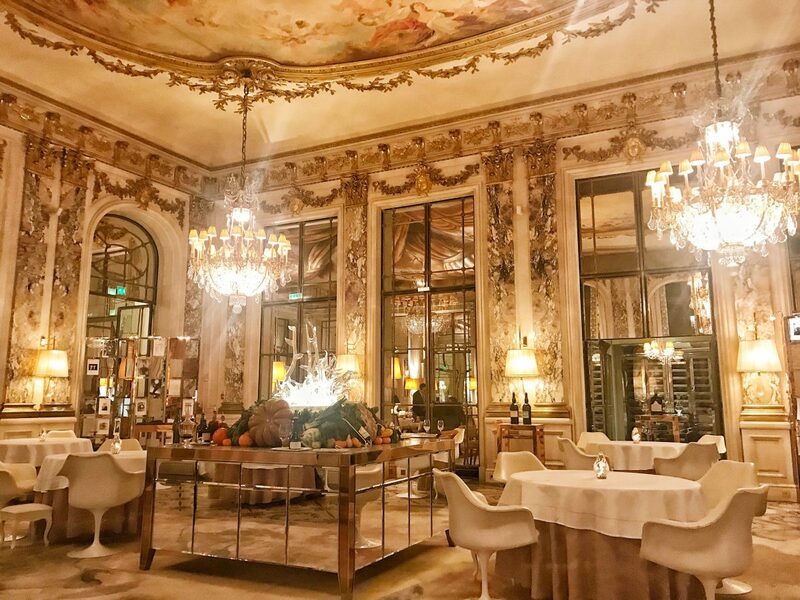 Alain Ducasse has a whopping 25 restaurants across the world – with 14 of those being in Paris. 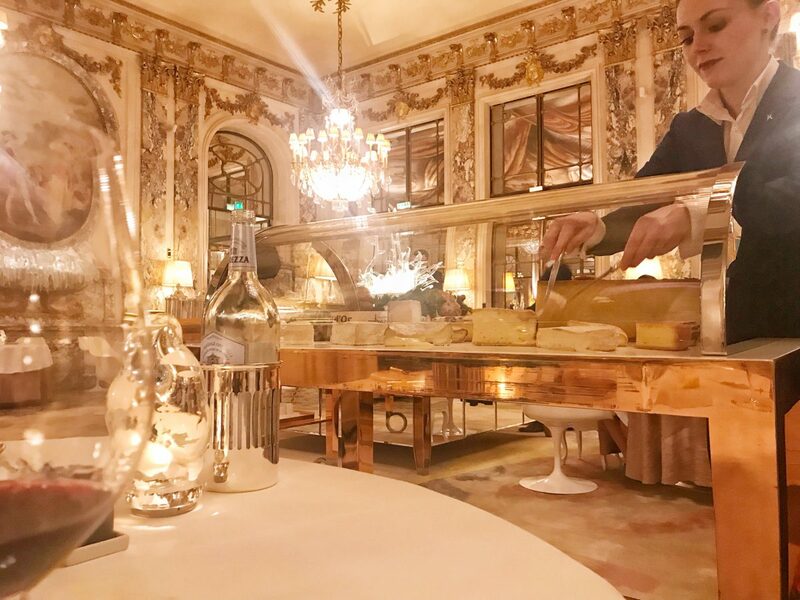 Le Meurice is the perfect fine dining experience and I don’t doubt it’s one of the finest in his collection.